« Brother, Can You Spare a Paradigm (or Three)? The two conventional interpretations of Quantum Uncertainty – ‘Absolute Randomness’ and ‘Many Worlds’ – both start from the view that there’s no objective cause for a specific outcome of a quantum event. But ALL other ‘randomness’ in the universe is actually deterministic, the consequence of a background that’s totally governed by the rules of physics but too complex to be analysed. At a quantum level, outcomes of microcosmic events are totally random – or at least they seem to be. Every experimental test of the situation shows that the quantum wave equation gives a perfect representation of statistical distributions of the results of interactions at the quantum scale. In other words those outcomes follow patterns as defined by the wave equation – but individual outcomes are totally unpredictable, completely random. The standard Copenhagen Interpretation of the wave equation, as put together by Niels Bohr, Werner Heisenberg et al., proposes that outcomes are intrinsically random, that there’s no deeper cause for that randomness. Various others disagreed; notably Einstein himself is on record as saying: “God doesn’t play dice”. But Bohr ‘won’ the argument, Einstein ‘lost’ – and that’s how things stand: there’s no underlying cause for that serendipity of quantum events, and hence there’s no possibility of predicting outcomes at the quantum level. Actually, that’s not quite how things stand: there’s another school of thought that says yes, the outcome is totally unpredictable – for those of us in this universe. But for every possible alternative outcome of every quantum event there’s an alternative universe hosting that different outcome – so, for example, if there are three possible ways an event could turn out, that event spawns three different universes. In each of those universes one of those outcomes occurs – so every possible quantum consequence is represented in a universe somewhere, we’re just experiencing the one that happened in the universe we happened to go along with. For every possible alternative there’s another you and another me living out the consequences of every different outcome that could happen – and did, in those other universes. Simple? Maybe. Outrageous? Maybe. Inevitable? Maybe not. So is there a third alternative to absolute serendipity or innumerable universes? As it happens, yes there is – one that makes both of those options look a bit silly, not to mention totally un-scientific. Randomness happens all the time, doesn’t it? 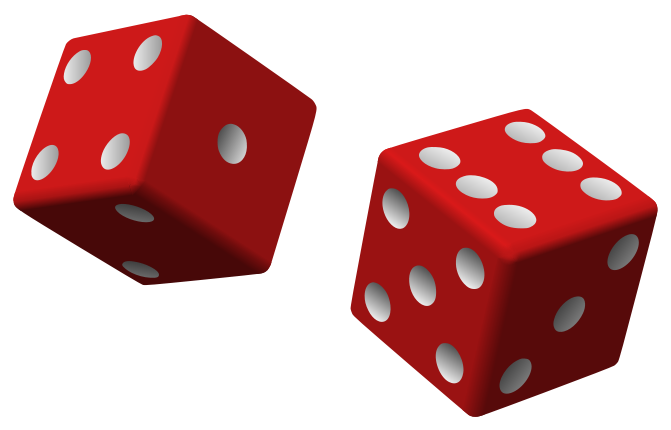 All sorts of things are random: the number that you get if you throw a standard six-faced die; whether a coin lands heads or tails; the number of calls in a day to a call centre; the number of men aged between 64 and 65 who die in the UK in a particular year. We think of all of these things as random, and so they are, in a way. Generally they fall into a sort of pattern, known as a frequency distribution; that pattern can even be described mathematically, as a distribution function. So it is that insurance companies use actuarial tables, giving the likely numbers of people of any given age and background who may pop off in a particular year, on which to base their premiums and their expected profits; they don’t know exactly which of their clients will die, but those tables tell them pretty accurately how many will. In the same way the company running a call centre won’t know exactly how many calls, or of what duration, to expect in a day – but there are mathematical functions that will tell them the distribution (probability pattern) of number and durations of calls they’re likely to get, so they can plan the number of lines and operators they need. But on any given day the precise number of callers, and the durations of their calls, are quite unpredictable – random. Even the variation in the number of heads and tails that you’re likely to get if you toss several coins at the same time is defined by a distribution function. So, for example, if I were to toss ten coins over and over again for, let’s say, a million times, the number of times that I could expect them to land as seven heads and three tails is around 117 thousand – give or take an unknown number. 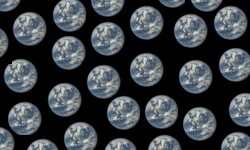 That 117,000 is a guideline, it’s almost certainly not going to be exactly that – but it won’t be vastly different, and it will almost certainly be less than half the number of times I get an equal number of heads and tails (since the distribution function tells us that would be around 246,000). But – and this is where the ‘random’ comes in – on any particular toss of those ten coins I won’t be able to predict what combination of heads and tails I’ll get – still less exactly which coins will land heads-up and which tails-up. So where does this randomness come from? Why do those coins land one way on this throw and a totally different way on the next? Is it really just a matter of blind chance? 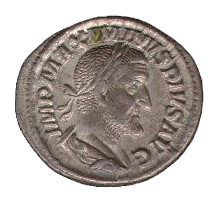 Coins like these silver Roman denarii were being tossed 1800 years ago and more. In a word – no. Those coins, and every other so-called ‘random’ outcome (with the possible, but unlikely, exception of quantum outcomes) are all subject to deterministic (definite) factors causing the result to be exactly what it was – it couldn’t have been anything else. When you hold ten coins, for example, they’ll be held in a particular way; as you toss them, the muscles in your hand will give each of them a particular speed and direction, and a degree of spin; air currents, even the temperature and humidity in the room, will influence the motion of each coin individually. And so they fly, and then fall, precisely in accordance with the laws of nature. The same is true of those 64-65 year olds on the insurance company’s books: each one will have very specific medical circumstances (often unknown in detail, even to them); any one of them may, at some time, walk down to the shop on a wet day when a car gets out of control and mounts the pavement; any one of them may choke on a fish bone or slip on a loose stair carpet – all sorts of deterministic factors may apply in each of those lives. And taken overall, the fact that such factors can occur leads to an approximate number of those 64-65 year olds who won’t make it into their 66th year – though nobody can predict exactly which of them it will be. Same with those call centres: everyone who calls will have a very specific reason for doing so, based on specific circumstances in their lives; the time they spend on that call will depend on all sorts of factors relating to both them and the operator handling the call; all sorts of deterministic factors will contribute to the number and duration of calls. And taken overall, those factors will form a pattern that’s fairly predictable over each day, even more so over a week. Just as a very simple analogy, no-one could possibly predict the detailed arrangement of branches forming the leaf canopy of an oak tree, even though the development of each of those branches is totally determined by natural factors – by physical laws; but everyone has a pretty good idea of what the shape of that tree canopy will turn out to be. In all of these cases, and pretty well every other that we might cite, what we refer to as randomness is in fact unpredictability. It’s not that those events aren’t based on deterministic physical laws and well defined physical events – they are – but simply that we don’t have the information necessary for predicting outcomes of those events. For example, we’re certainly not in a position to collect all the info on our muscle micro-movements or the atmospheric conditions when tossing those coins – and even if we were, the calculations required to define what results that data may produce in terms of heads and tails is way beyond our capacity, and probably beyond the capacity of the most powerful supercomputer. The situation is what we refer to as chaotic, in the scientific sense of that word. It’s all to do with Complexity Theory: the fact that real-world situations with clear causes can quickly reach a level of complexity where, despite knowing the physical laws concerned, we’re unable to predict the outcome. 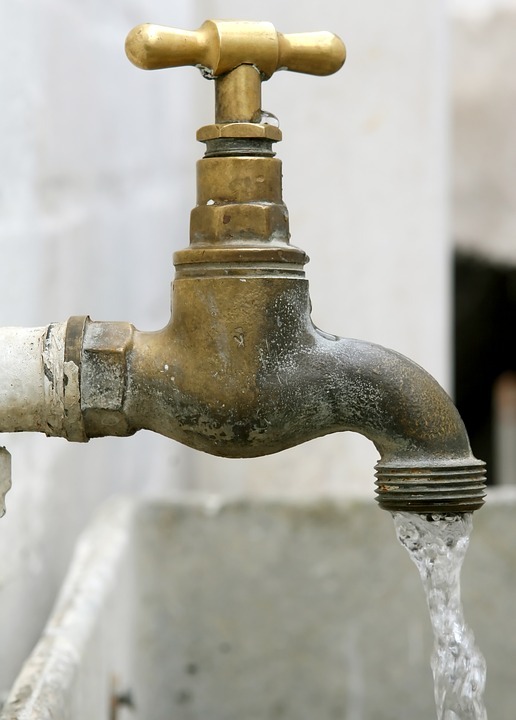 A classic example is that of a running tap: we know exactly how molecules of water interact and how gravity affects those molecules – but in the water coming out of a tap there are just so many molecules, so many interactions, that a complete description of the details of that flow is way beyond even the world’s most powerful computers. So from our point of view that water flow is effectively random – even though it’s determined down to the finest detail by known scientific laws. Likewise those deaths of men in their middle 60s, those calls to the call centre: we know precisely the sort of factors that lead to those deaths, those calls – but those factors are so complex that those events are effectively random no matter how much we may try to analyse them. The very fact that those patterns of deaths, of calls, of any random events, follow well-defined frequency distributions is a clear indication of causal mechanisms that shape those distributions. The Copenhagen Interpretation of Quantum Mechanics says that quantum events, quite uniquely, buck this trend. Sure, they follow well-defined frequency distributions – but those distributions aren’t based on any real-world causative factors, according to Bohr et al. They are, quite simply, random – there is absolutely no physical mechanism to which we can attribute that variation, it’s just an intrinsic serendipity of nature. According to that view, there’s an absolute limit to the ‘knowability’ of what makes things happen; beyond a certain level of detail, nature does just as she pleases without any cause or explanation. Can this possibly be so? Can we really have clearly-defined patterns of quantum events with absolutely no causal mechanism for those patterns? Well, it’s agreed that the quantum wave equation describes those patterns, but that’s as far as it goes: don’t look any further for a cause, ‘cause there just ain’t one. Supporters of MWI don’t agree. According to the Many Worlds Interpretation of quantum randomness, every possible outcome of a quantum event does happen – each in a different universe. So if a specific quantum event is an either-or event, both of those possibilities happen – one in a universe where it went one way, the other in a universe where it went the other: one universe becomes two, and the consequences of those two different outcomes lead to two diverging realities. We only see one because we’re in the universe where that one happened; another ‘you’ and another ‘me’ continue to exist in the universe where it went the other way. Quantum events are by far the most frequent occurrences in the universe(s): when you smell a flower you’re experiencing millions of quantum events; when a cloud fades from view that’s typically trillions of quantum events. And every quantum event has at least two possible outcomes, generally more; so ten quantum events spawn over a thousand new universes, twenty give us over a million. The numbers get pretty outrageous within a second – and by all accounts this has been going on for almost 14 billion years. Big claims demand big evidence. The primary evidence for MWI (if one can call it evidence) is that there are indeed multiple possible outcomes to any quantum event, and no recognised explanation as yet as to why one outcome should occur rather than another. So is that it? Is it really the case that quantum outcomes are, unlike any other ‘random’ occurrence in the cosmos, totally without rhyme or reason – or alternatively, that in ways totally unexplained and unproven, cosmoi (plural of ‘cosmos’) are popping into existence all around us at the rate of untold quintillions every fraction of a second? Is there no better, more rational, explanation? Since you ask …. Yes, there is, one that makes those other proposals look even sillier. What a Super Position to be in! The quantum wave equation contains the possibility of various different outcomes – what’s referred to as coherent superposition (or ‘non-contradictory overlaying’) of those different possibilities. Just as a wave from the sea may be measured at different points where it arrives on the beach – and may be different heights at those different points, without any contradiction – so measurement of a quantum observable may take various different values. For example, a (wave-like) photon, or individual ‘bit’ of light, may land at any one of a number of different places on a screen; the slight difference is that the arriving photon will only be detected at one place on the screen, with different probabilities of it appearing at those different places, rather than the different heights of the ocean wave. This ‘possibility of different outcomes’ is a natural feature of a wave – it can’t be pinned down to being just one thing at one place whilst it’s still a wave. When it’s observed or measured, though, it ceases to be a wave – we say that the wave collapses to one clearly-defined outcome, with the probabilities of different possible outcomes being contained within the mathematics of the wave equation for that situation. Here’s where the two conventional interpretations of the occurrence come in: the ‘absolute randomness’ interpretation of Bohr & co.; and the ‘many worlds’ interpretation (MWI) of Hugh Everett, that has since attracted a substantial following among the research community. If the result of collapse of the quantum wave function isn’t absolutely random, and it isn’t just one version of events that we happen to get to see – with all other possible versions happening in other universes that split off from ours – then what does decide how the dice fall, so to speak? Let’s look at a simple analogy. Imagine a footballer aiming for a goal from the centre of the pitch. 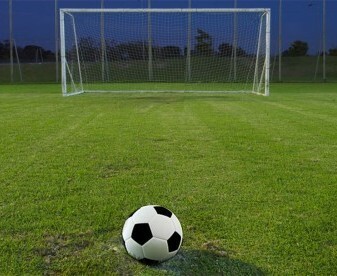 (c) the ball goes right of the goal. We’ll assume that the likelihood of the ball going to left or right (including hitting a post) is ¼ in each case and the likelihood of scoring a goal is ½.
That’s purely on the grounds of the distance from the goal-mouth, without taking account of environmental factors. Once the ball has passed the end of the pitch, of course, the outcome is certain: just one of those three possibilities will have happened; but at the time the ball is kicked all three outcomes are possible, it’s a matter of probabilities. Now let’s factor in the environment. The space between the centre of the pitch and the goal-mouth is filled by a seething chaotic body of air, rather like the flow from that tap – except that it’s invisible and, unless there’s a strong breeze, not perceptible any other way either. But that imperceptible environmental effect could prove crucial to the aspirations of our would-be soccer star. Let’s assume, for the purposes of this discussion, that this chaotic air mass has a very slight general tendency from left to right; not enough for it to be felt, but enough to just tip the balance for a long-distance kick. The ball drifts steadily to the right and misses the goal-mouth, clear of the right-hand post. What was just a 1 in 4 chance (if it hadn’t been observed in the meantime) becomes an absolute cert, and the other two possibilities ‘collapse’ to probability zero. Now there are various limitations in comparing this to quantum wavefunction collapse but there are also a number of useful comparisons. Without observation there were three possibilities at the outset, each with its associated probability; it was inevitable that with ‘measurement’ (against the yardstick of the goalposts) just one of those three would become objective reality and the other two would ‘collapse’. Lastly, of course, the outcome of that goal-kick wasn’t just the random selection of one of the three options (nor did it spawn three separate universes in which each of the different options was realised). It was the consequence of a chaotic, imperceptible environment that precipitated that apparently-random selection. This ‘environmental interference’ is a serious problem in quantum computers, which rely on undisturbed progression of the wavefunction in each of their qbits (quantum bits) to generate results using the principle of quantum superposition. Keeping those results free from environmental ‘noise’ is a key goal if quantum computing is to realise its perceived potential. This, possibly more than anything else, puts a serious question mark over the whole issue of MWI, simply on the grounds that it’s unnecessary. It’s very clear that environmental factors play a significant part in quantum outcomes, to the extent that billions of dollars are being ploughed into research to try to eliminate those factors in the input, processing and readout phases of quantum computation. So what are the environmental factors in general quantum outcomes? No quantum event occurs in total isolation. For example, if one atom emits a photon there are inevitably other atoms around; more to the point, every quantum scenario is set in the context of a seething mass of interacting electromagnetic fields – arguably from every tiniest particle in the cosmos. We know that a particle-antiparticle pair can be formed by the collision of two high-energy photons; in other words, the energy of those two photons becomes ‘localised’ in the form of two elementary material particles. This in turn tells us that such particles are formed from electromagnetic field effects (since that’s what photons are) – and electromagnetic field effects are unlimited in their extent; so the field effects of every particle in the universe extend without limit (though of course diminishing with distance). So it follows that the background to every quantum event in the cosmos will be an incredibly chaotic combination of contributions from every particle that exists – anywhere (plus probably other electromagnetic field effects that we know nothing about). That quantum scenario is, always, a combination of material particles and electromagnetic energy; so the wave equation for that scenario is, inevitably, a description of the electromagnetic field effects that combine to form that scenario. There’s just one wave equation for that scenario – not several – but that one equation carries within it possibilities for various different outcomes, just as that one ocean wave carries different possibilities for different points on the beach. At the instant when a quantum outcome is observed or recorded – measured – the composite electromagnetic field for that quantum scenario is interacting with the chaotic background electromagnetic field. Although it wouldn’t be possible to define or predict it, the outcome of that interaction is wholly determined by Maxwell’s equations: there’s only one possible outcome for that specific set of interacting electromagnetic circumstances. Our impression of several alternative possibilities is based on our almost complete lack of knowledge about the state of the chaotic background field. So it is that, just like that light breeze on the football field, that background electromagnetic influence shifts just one of those possible outcomes from ‘possible’ to ‘definite’ and eliminates all of the others. The technical term for this is quantum decoherence: two or more possible states that previously could exist in superposition can no longer do so – the broader electromagnetic circumstances make them mutually exclusive; it’s now either one thing or the other – and Maxwell’s equations select out which one it’s to be. It’s pretty obvious from this description that neither do we need ever-increasing numbers of alternative universes nor do we have to credit quantum happenings with a randomness that’s totally unexplainable and totally different from all other randomness. Just like every other ‘random’ event in nature, there’s a clearly-understandable (if non-measurable) reason for each and every quantum outcome. More than that, we can see how the wave equation provides a basis for the frequency distribution for any quantum observable: that equation is a description of the electromagnetic field pattern in the quantum scenario; that field pattern makes some outcomes more likely and some less likely – but which one carries the day in a particular situation depends on how it fits in with the chaotic background. Put simply: no quantum scenario stands alone; it’s always part of the greater picture – the whole cosmos is in effect the manifestation of one incredibly complex wave equation. When we define a wave equation for a specific situation we are in fact approximating that cosmic wave equation by setting to zero every part of it that isn’t directly part of our chosen situation. This approximation falls down to some extent when we consider the outcome of a quantum event, since that outcome is a function of that whole cosmic wave equation. Since we don’t take that into account, we see the outcome as to some extent random. Not uncountable numbers of universes, not nature playing guessing games – just electromagnetic fields doing exactly what Maxwell’s equations say they will do. It’s not rocket science. This entry was posted on Thursday, September 15th, 2016 at 10:45 pm	and is filed under Uncategorized. You can follow any responses to this entry through the RSS 2.0 feed. You can leave a response, or trackback from your own site. Many thanks Grahame, that was really interesting! Thanks Heather, appreciate your feedback! 1. Does the view you describe mean that, even if the next event is unknowable in a practical sense, you think the universe is totally deterministic? 2. How does Bell’s theorem, which has dismissed Bohm’s attempt at retaining a classical picture of physics, relate to your view? Thanks, John, for your (as always!) insightful and incisive questions/observations. Both of the points that you raise lead into some very interesting territory. 2. Bell’s Theorem has effectively dismissed all notions of ‘local hidden variables’. However (again as in my book) it’s my understanding that physical reality itself is at root alocal (a term coined by Bohm, I believe) – so any reasoning based on ‘localisation’ of phenomena is doomed to failure when considering underlying causes. I actually find this quite exciting, since it strongly suggests that (self-imposed) limitations based on speed-of-light considerations etc may well be surmountable if we take seriously this intrinsic alocal quality of the building bricks of our physical experience. Before this can be seriously grasped, though, science will have to shake off the notion of Special Relativity as an objective reality rather than an observer effect (coupled with the objective truths of speed-related dilation of time-experience and speed-related physical contraction). To get back to your question: there seems to me to be no obstacle to ‘nonlocal interaction’ once the interacting entities themselves are recognised as being nonlocal. This is reinforced by clear evidence that gravitational effects (not to be confused with gravitational waves) are propagated at speeds many times in excess of the speed of light – an observation that fits well with my take on gravitation, awhich you already know about. In short: there is most definitely everything to play for! Haha it looks like I need to read your work then! In the meantime I’ll leave by saying I totally agree with your view “that the current fashion for citing consciousness as an emergent property of matter” is totally devoid of scientific evidence and merely a belief. There is nothing in science as we know it that can explain consciousness. One could present anything at all from the world of science, any theory, equation or table of results, but none of it is even remotely like the “feel” of conscious experience. This is the problem of qualia. Furthermore it can be argued that consciousness is non-computable, so how could it ever have arisen from out of a materialistic universe? As Raymond Tallis puts it, “…why should different forms of physical (or chemical) energy be associated with different kinds of sensations, particularly given that the qualities we sense are not inherent in those forms of energy, or indeed in the material world at all.” So the view we are criticising is only a belief and dodgy given that consciousness is the only self-evident “thing” there is – the particles and forces of science are by comparison very abstract, conceptual and contiguous . One can invent a robot that eats a lemon competently, but our entire collective scientific knowledge base offers nothing about the “suchness” of the vivid yellow colour and sour taste. It’s inconvenient for a purely materialistic explanation of the universe, but it’s there.